Despite the fact that I'm often drawn to dark works, I've frequently wondered how the creation of such work affects the creator. In order to really enter into those places, it seems like you'd have to go to a pretty dark place yourself. 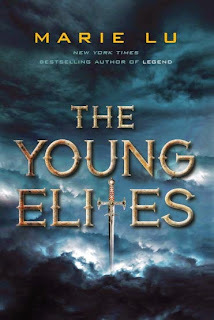 So it was interesting to sit in on a phone interview with Marie Lu last week where she discussed this very thing in relation to her new book, The Young Elites which is the origin story of a villain. First let me tell you a little bit more about the book. "Her family is twisted and terrible, and that rubbed off on her a lot. And it was kind of disturbing to have to get into that headspace, because I didn't experience any of that. And to be able to try to figure out a way to make this person do horrible things but also not make her totally unlikeable so that you're like, "God, I just want this character to die already" was a bit of a challenge too." 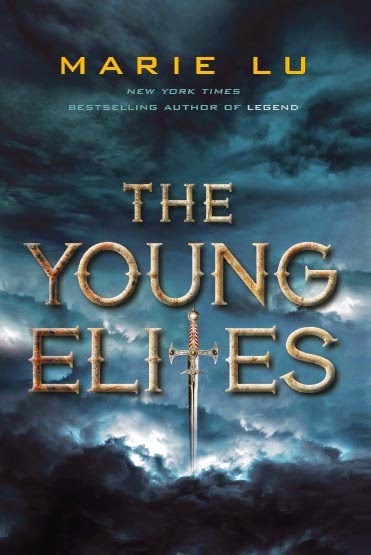 She chose the title, The Young Elites, because it came to her first! But also because she liked it as a positive name for her characters who have a very derogatory name used against them in the book. And while the world is a fantasy world in the book, it's one that borrows heavily from Renaissance Italy so it is very grounded in a time and place that is familiar! But she also drew inspiration from Assassin's Creed for the setting. Talking to authors is one of my favorite parts of being a book blogger as I find it really interesting to hear about how something creative was born. Additionally, I found it really interesting to hear how writing about the darker stuff affects the writer! You can learn more about The Young Elites by visiting the official website. And you can learn more about Marie by visiting her website!